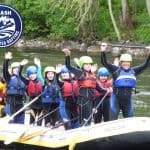 Schools White Water Rafting is very important to us at Splash. We understand the importance of introducing young people to outdoor activities and pursuits in a safe enjoyable manner. We have been safely doing so since 1996. Many of the team working at Splash would not be here if we had not had the opportunity to attend outdoor session at school or in youth groups. 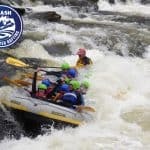 Splash White Water Rafting are fully registered with the Adventure Activities Licensing Authori ty (AALA) . 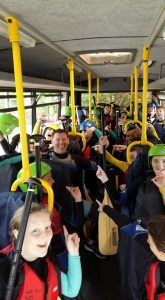 We have over 20 years experience of running Schools White Water Rafting trips and events. This is combined many years experience of providing school and youth groups with great multi activity days out. We welcome school children from around the UK, as well as scouts, youth projects, special needs groups and many more. 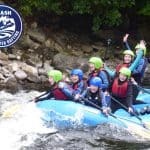 Splash activities and adventures are suitable for children aged 8-18 years, and are based at our central Perthshire location in Aberfeldy with trips running all year round. 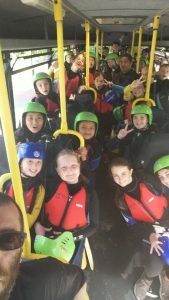 As safety is our primary concern for all age groups, we ensure that every person taki ng part in an activity is thoroughly briefed on safety procedures – if required we provide full risk assessment for all activities, and hold £10m insurance liability cover which ensures we meet all local education authority guidelines. We have worked with over 100 schools from all areas of the UK over the years. 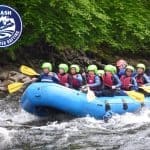 Splash individually tailor each Schools White Water Rafting experience programme of activities for every School. This happens following a discussion on objectives and details of the group. As we understand the financial constraints on schools and youth groups, we work hard to provide an enjoyable day of activities at a reasonable cost. Midweek bookings attract the best rates, and we are confident we can offer better value than any other provider. Our range of accommodation options gives you the choice to be self-contained in one of our four Adventure Lodges on a self-catering or catered basis. The lodges range in size from 14-40 beds and in total have over 100 beds available. We also have the option of a hotel right next to our rafting centre that can cater for 50 on an exclusive basis. To complete our range of options our Aberfoyle base is a large self-contained activity centre set in 70 secure acres of stunning countryside that can cater for any number up to 150. We deal with thousands of children each year and can provide adventure and learning for groups ranging from 6 to 150. We also run two-day free courses for Active Schools Co-ordinators – a minimum of 8 co-ordinators are required to run a course.